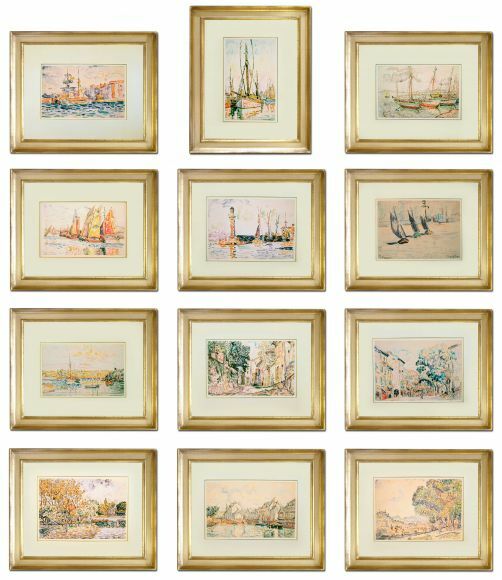 Description: Signac Watercolours floated in gesso mounts with handpainted bevels . All in deluxe handmade frames. The Colours of Your Screen: The colours of your screen may be different to the colours on our screens. Handmade items may vary slightly each time they are made. If you order this item we will send you a printed visual to check the colours and the design. Once you approve this printed visual we will make the pieces in accordance with the approved printed visual. You may send us colour swatches so that we can customise the colours of this item to suit your décor.